This is a post I was going to have to write sooner or later. I thought I would wait until I had some idea of what The Golfing Machine says instead of none. The “none” meant trying three ties to read it and getting nowhere. But with help from a few online blogs, and a careful re-reading, I can finally talk to you about the book without being completely ignorant. Just unignorant enough. A comprehensive overview would take the length of three blog posts, so I’ll just allude to a few highlights, and hope you’ll hunt up a copy and see what you make of it. 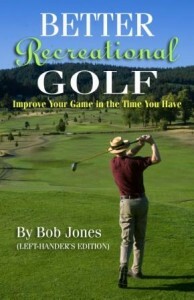 The Golfing Machine (TGM), by Homer Kelley, is not really an instruction book. It’s a compendium of swing features and components, broken down in a way that allows a golfer to build a swing from the very start, based on the particular physical characteristics and movement preferences of that individual. It does not teach one swing. Someone calculated that if all the possible combinations of catalogued features were considered, TGM offers 446 quadrillion possible swings. One of them is right for you. Actually, that’s not where the book goes. All the book is meant to do is take the way you swing, eliminate the parts of your swing that work against you, and substitute a different part at that same point that is compatible with what you do in the rest of your swing. Instead of learning a new swing, you take the swing you have and make a few changes here and there so the whole thing works together. Who could argue with that? It sounds so good that you want to pitch right in, but the problem is first you have to know what those parts are that need altering, and then you have to know which alteration to make with anywhere from three to fifteen variations per part, and after you have figured all that out, it really gets complicated. You might need professional help with that, and there are certified TGM instructors if you want to go that route. But you can do it yourself if you consider matters carefully. My swing is now emphasizing a matter I have brought up in the blog, the hands leading the clubhead, too much. My right arm and hand are now almost completely out of the swing. TGM is helping me put the right side back in without disturbing what I have accomplished with the left. That’s what this book can do for you. Jim McLean wrote a article on TGM, praising it in general, but saying this about it. 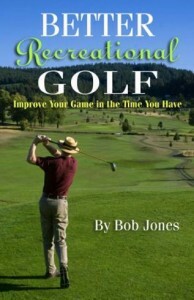 It is good for beginners and intermediate golfers, but Tour pros who latched onto it regressed. 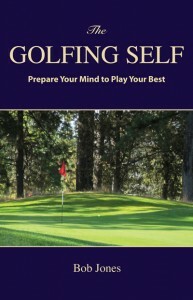 That would mean TGM is ideal for recreational golfers, but the problem with that is the book is so hard to read that you need to have a fair grounding in swing theory already to understand it and pick out the parts that might apply to your swing. TGM is something of a cult book. If it was the be all and end all, every teacher would be using it and every pro would be teaching out of it. Clearly, that’s not the case. You might want to hunt down a copy, though, to find out what all the fuss is about. You might find some bits of wisdom that help you tremendously. The rest of it you can forget about, and that’s all right, because that would be just what the author intended.